Saying nothing, she let the moment wash over her, the uncertainty, the breathless hope, the anxiousness, and the shimmering contentment. The sight of their intertwined hands pleased her. So different, but still five fingers and five knuckles, the same general blueprint. She tightened her grip, and he squeezed her back. Palm to palm, two lonely halves found comfort in together. Daniel Henney as “Michael Phan”. If I had taken the time to read the synopsis of this book, I would have gotten to this one so much sooner. I’ve read a few romances where the Hero has Asperger’s but this is the first book I’ve read that it’s the Heroine who has the disorder. I loved EVERYTHING about this book! The plot and characters were superb! I am beyond thrilled that my last read of 2018 is this spectacular one. Sometimes when I see a ton of five-star reviews for a book by an author I’ve never heard of before, I get a bit skeptical but I can honestly confirm this book deserves ALL THE STARS!!! Michael and Stella’s journey to love was beautiful and super steamy. The story flowed so perfectly. Never did I have the urge to gloss over anything. This book consumed me! 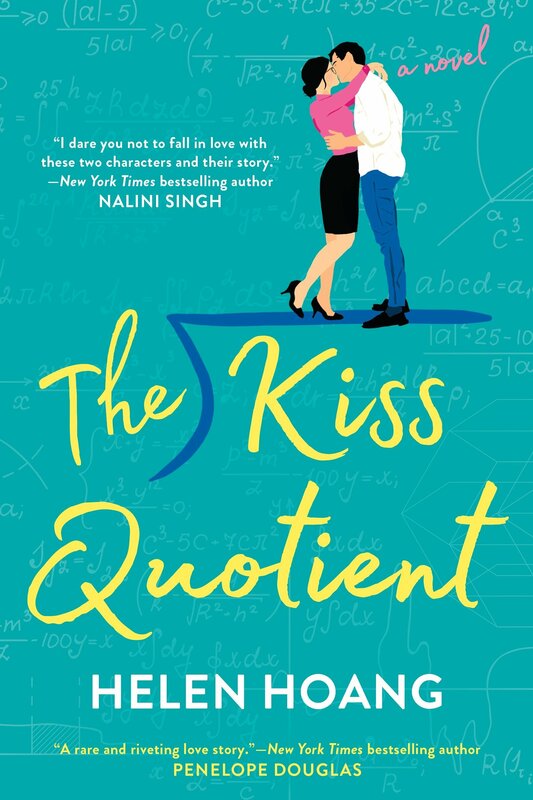 THE KISS QUOTIENT is currently available and if you haven’t read this one yet, get to it as soon as possible! !